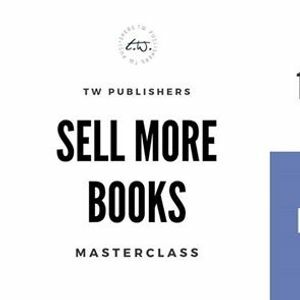 Whether you've just started embarking on the journey of being a published Author or you've published some books, this Masterclass is for you. There are so many tools and insights concerning publishing that can upgrade your book-life but most Authors don't even know about them and because they don't know about them they can't take advantage of those tools. Have you struggled with getting your book to be bought, even though you know that it could be a "best-selling" book? 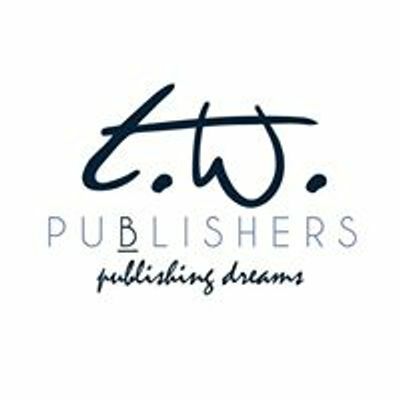 I have realized that the reason why there are some self-published Authors who are doing well with their books is because they have certain tools, knowledge and vision. And when I began to use those three things I also started to see an increase in my book's publicity and sales. 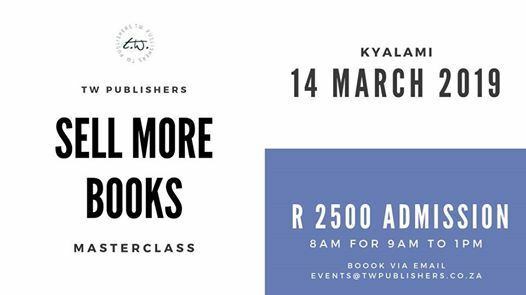 This Masterclass is not for everyone, it's for you if you want to learn how to self-publish your book, globally, like a professional Publisher would, for a fraction of the cost. *Making passive income from selling your book on online bookstores. *Reducing your publishing costs to 0! *Publishing a book which complies with international publishing standards. *Using the most effective yet cheapest advertising platforms. *Using the best Desktop Publishing software in the world. *Having your book on Radio, TV & Podcast shows. *Having technical support from us for 12-months. This Masterclass, takes place at our offices in Kyalami, Midrand. The dates are as follows: 16 April, 16 May, 13 June, 16 July, 15 August and 12 September 2019 from 9AM - 4PM. Seating is very limited, register TODAY! Register for this Masterclass by emailing us at ZXZlbnRzIHwgdHdwdWJsaXNoZXJzICEgY28gISB6YQ== or click the "Pay Now" button below. **Payment to be made via EFT or via secure online payment on our website through PayFast, please use your initials and surname as a reference and send your proof of payment to ZXZlbnRzIHwgdHdwdWJsaXNoZXJzICEgY28gISB6YQ== along with the date of the Masterclass you'll be attending and we will reply with your invoice and a confirmation of your registration.